Here's a list of the 113th Congress' freshmen members. Sun-Pluto = Mc: power games with important consequences; striving for power and control; vocational changes or upsets to adopt new perspectives. Other midpt pics may be useful to consider though I shall not list them all in this post, then we'll look at the applying aspects of chart-ruler Mars (conflict; action; energy; warring factions, etc, to see how things may proceed for the country under the sway of the 113th Congress--note that Mars @6AQ48 conjoins US natal SN, a Saturnian point of separation and of past behaviors. 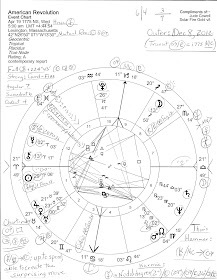 Challenger Mars is also the planet apex of 4 midpts: Pluto/Chiron (with its oppressive plutocracy and disenfranchisement vibes), Sun-Neptune, Neptune/Mc, and NN/ASC, detailed below) to see how things may proceed for the country under the sway of the 113th Congress and whatever secret austerity plans the radical Utopians (Uranus in Aries) will continue attempting to force upon us. Sun-Neptune = Mars: nefarious scheming to exalt the ego; magnetism and charisma. Neptune/Mc = Mars: playing a role. 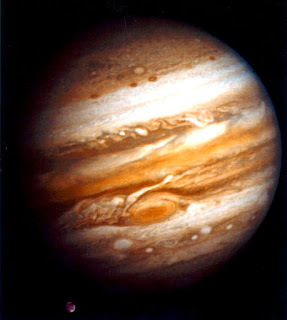 I know of no easy words to describe Pluto-Chiron = Mars though with America's SN involved, I suspect that past bad behaviors such as oppression, win-at-any-cost attitudes, and even primal violence will continue to be exhibited by the corrupt Washington politicians and the plutocrats who support them infest the District of Columbia and continue their plan to completely take over the US government and weaken it while ravaging all resources of our nation. 1. Mars trine Jupiter Rx (0A43) which on one level describes the pay raises (2nd H) that President Obama has ordered for the 113th Congress and for other federal employees who've had pay freezes in place (Rx Jupiter.) Hope our congressmembers turn out to deserve such financial encouragement and that they'll do the people's business better than the unproductive 112th did! 2. Mars square Saturn (2A56), which denotes that activist Mars will run into frustrating obstacles, hard work, and delays brought on by lack of preparation and/or bad timing. The seniority and authority of others may be challenged or threatened which will be met unkindly, and trying to get around rules and regulations is to be avoided (word to the wise!) Why, even physical threats may be received. Necessary items may go missing when sought though they will probably turn up later. Yes, Mars SQ Saturn shows that the old dictum experience is the best teacher fully applies to the whippersnappers of the 113th Congress. But of course, with the GOP's past behavior with its sour grapes-sore loser attitude, we must expect to see filibusters and other obstructive tactics meant to block any legislation that might make President Obama 'look good'. Well, these are my brief astro-notes concerning the 113th Congress though many other chart factors will be of interest as the congressional session grinds along. 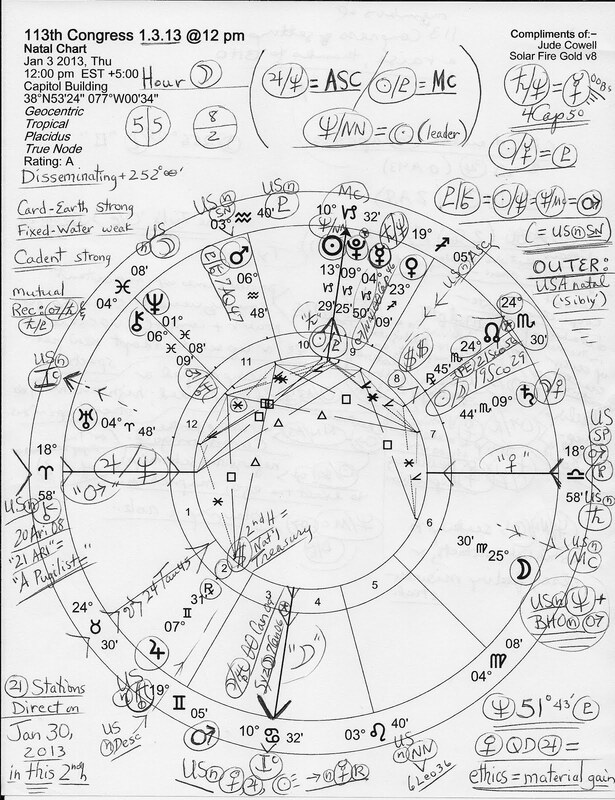 My plan is to direct you back to this natal horoscope when major transits or events occur so perhaps you'll find the chart useful as you consider the madness and mischief of the US House and Senate circa 2013 and beyond. 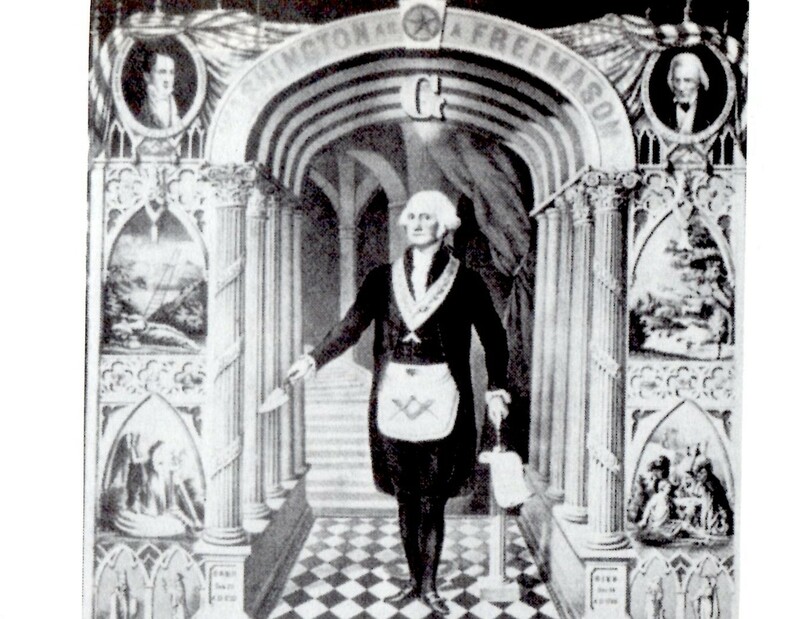 US Congress: November 17, 1800 '9:30 am' LMT with Sun 25Sco04 (the above NN and 8th cusp conjoins natal Sun! NN to Sun = new contacts are made--or, sworn in!) and Moon 6Sag17, a steamy Water-Fire combo of passion, commitment, self-dramatization, fanaticism, and intellectual discernment. 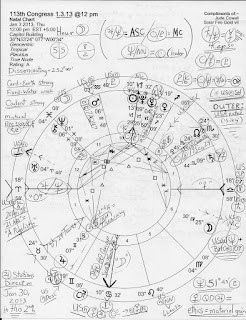 Synchronistically, natal NN @17Ari59 conjoins the ASC of the 113th Congress, and natal Jupiter @4Leo26 = US natal NN; plus, natal Uranus @00Lib47, a World Point of Manifestation, conjoins US Midheaven in our 'Sibly' natal chart and with tr Uranus in Aries since 2010, Congress has been in the midst of its Midlife Crisis, a time when one tends to behave uncharacteristically! Of great concern is Congress' natal Pluto @2Pis16 (transformation, manipulation, power, control, and wealth) which is now being dissolved by tr Neptune in early Pisces, a time when the current system can be removed, traditional rules are changed, treachery is afoot, and power is eroded; a resort to poison isn't out of the question, though negative societal trends may be mitigated somewhat by the current behavior and attitudes of those directly involved and challenged--here, the 113th Congress!